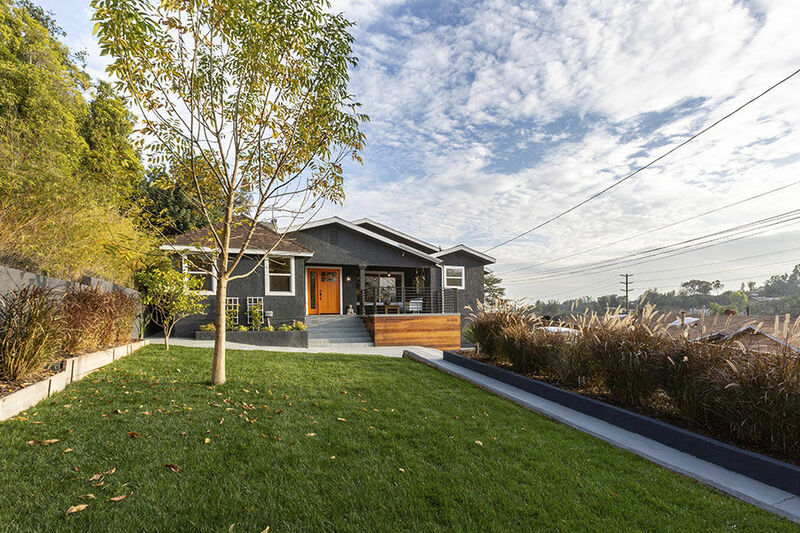 Stylish and stunning this re-imagined home immediately transports you into the modern era. As you open the gate take in the large front yard that leads to a patio overlooking the beautiful landscape. Buena Vista is an expansive 3BR/4BA home completely updated + boasts stylish finishes. Upon entry note the open and light-filled living space adjoining an open-concept kitchen complete with the sweetest dining nook surrounded by windows. A thoughtful sitting or tv room opens directly outside. The master room comes with an ensuite bath offering a deep soaking tub, spacious shower and walk-in closet. Bedroom two boasts another ensuite bath with a large picture window to gaze from. The large third room may be used as a bedroom, office or both! As you step out to the tiered backyard your imagination will be turned toward endless possibilities – a true entertainer’s delight. Finally step up to the bonus studio perched at the top of the property which offers a private studio space complete with powder room. This winsome home boasts size, but also an intimacy found throughout. Highlights include central HVAC, new windows, hardwood floors throughout and custom onyx and tile. The location is a commuter’s dream and allows for minutes to the 110, 134 and 2 fwys. Enjoy the ease of being up Figueroa from some of Highland Park’s hot spots such as Amara, Cafe Birdie + Homestate and just around the corner all the offerings of Eagle Rock and Colorado Blvd. Come take in this one-of-a-kind home! *Public record shows 4 beds + 2 baths, Buyer to verify. Classic 1937 Spanish duplex in Atwater Village just north of Los Feliz Blvd. Tucked behind mature trees, a sun dappled terra cotta tiled courtyard leads to the private front porches. Each unit boasts two gracious bedrooms and one large bath in generously proportioned living spaces. Large living rooms with stunning picture windows and character details like archways + built-in bookcases open to dining rooms with chair rail paneling and french doors to let the breeze in. The wide galley kitchens have been thoughtfully designed with quartz countertops, stainless steel appliances, sunny breakfast rooms that can double as charming home offices, and full laundry rooms replete. A central hall featuring extra storage leads to the light- filled bedrooms with ample closet space, updated full baths, and back door to access the garden. The beautifully landscaped backyard offers areas to lounge and dine, along with a two car garage. All this just moments from popular boutiques and eateries in Atwater Village! 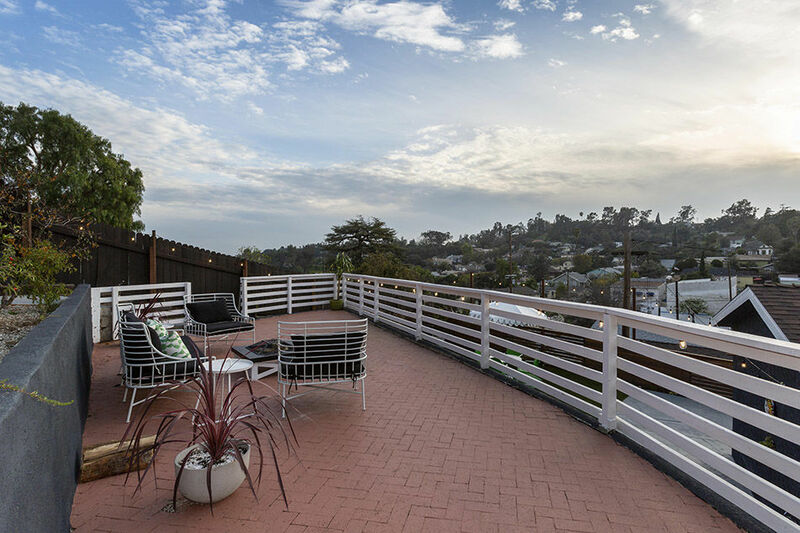 Jetliner views and epic sunsets abound from this meticulously updated home in the hills of Glassell Park. A brick path through the front garden leads the gracious front entrance of this light-filled home. Follow the rich hardwood floors into a vaulted living/dining room with focal fireplace, library loft & spectacular views. Enjoy an afternoon cocktail while watching the hawks soar above the canyon from the adjoining balcony. The updated kitchen has been smartly designed with custom cabinetry, vintage Wedgewood stove and breakfast bar bridging the main entertaining spaces. A powder room, bedroom with custom closet and direct access garage complete the main level. Just down the stairs you’ll find an expansive Master Suite with dual sinks, updated bath & a custom walk-in closet, plus a third bedroom with ensuite bath. The third level is a bonus studio apt with full kitchen, bath with steam shower & large balcony, with separate entrance. Close to hiking trails & Division 3 Coffee Shop!